Growing up, I associated those words with punishment. Summer school was for people who were forced to go to school as remediation for poor performance during the regular academic year. But now, as an Evening MBA student, summer school is just a reality that I must accept. No matter how quickly you aim to complete the Goizueta Evening MBA program, it is almost guaranteed that you will have to endure two summers in class. This year, after completing the first summer semester course load (comprised of Strategic Management and Managerial Finance courses), I opted to close out my summer with yet another class — an Accelerated Course Elective course. ACE courses take place between regular academic year semesters, and they jam-pack a semester of course material into two intense weeks of classes (two Tuesday/Thursday evening sessions, and two full weekends of all-day classes). These courses provide one way for Evening MBA students to accelerate their progress in the program. I am eager to graduate one or two semesters early, so this year I traded in pool time and beach vacations and embraced life as a summer school student. The majority of ACE courses teach business skills or tools that quickly apply to professional contexts. The August ACE course offering for this year was Advanced Managerial Economics Analytics, taught by Professor Tom Smith. In the course, we learned how to use the statistical tools R and RStudio to analyze historical data to make educated economic predictions. Professor Smith equipped us with enough basic programming code to be dangerous, presented us with real-world data analysis dilemmas and challenged us to build models to resolve them. We used our new programming skills to tackle an array of issues — from predicting box-office earnings of new movie releases to analyzing workplace discrimination. We worked in groups, digging up data and debating the variables that would help us make the best predictions. After learning how to build models ourselves, we closed out the course with a guest lecture from someone who conducts data analysis on a daily basis — Justin Watkins, director of Business Intelligence for the Atlanta Braves. 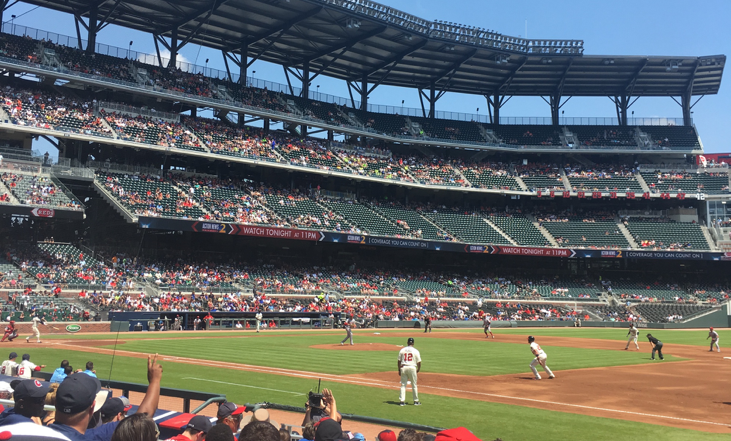 Justin shared some of the ways that the Braves franchise relies on data analysis — from determining ticket prices, to analyzing concession offerings, to evaluating the effectiveness of marketing strategies. Justin’s lecture opened my eyes to the countless ways that new forms of data collection and data analysis are guiding business decisions in the sports industry. We spent the remainder of the afternoon watching the Braves take on the Reds. 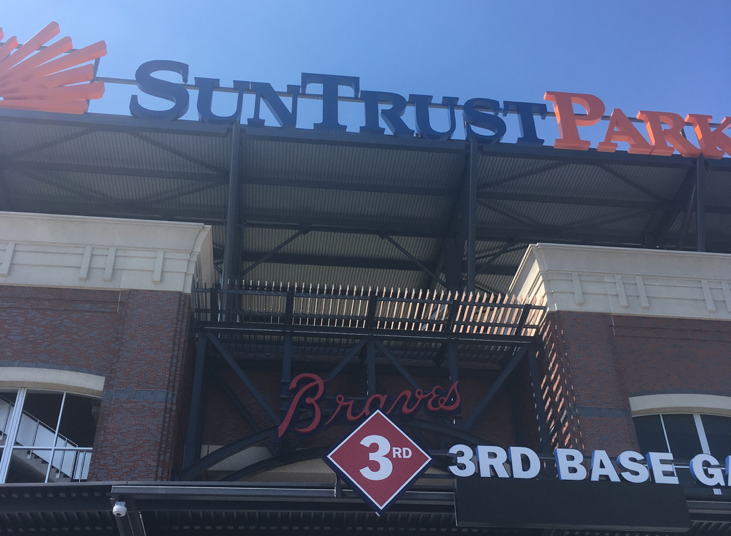 Sitting in SunTrust park, I had no regrets spending the last two weeks of summer at school. In just two weeks, I went from knowing nothing about R to being able to build models to make economic predictions. I began to look at the world with analytical eyes, seeing the data in every transaction and interaction and learning the value of data-driven decisions. Best of all, since R is an open-source program, I learned a skill that I’ll be able to continue using in analysis at work and school. 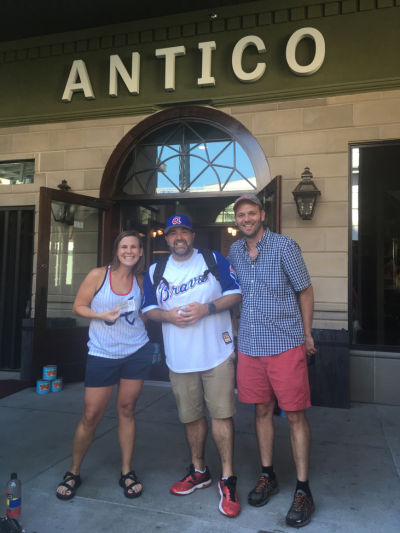 I finished the ACE course with a new programming language under my belt, a new way of seeing the world and even a slight tan from our experiential learning trip to SunTrust Park. Maybe summer school isn’t so bad after all? Lindsay Eierman is a 19EvMBA student and marketing manager at ScanTech Sciences, Inc. - a company that designs, manufactures and operates systems for the Electronic Cold-Pasteurization (ECP) of food. Passionate about creating strategies to help bring new technologies to market, she thrives when promoting a product or service that has both economic and societal impact. Carswell holds a B.A. in Philosophy, Politics and Economics from the University of Pennsylvania and an M.Div. from Duke Divinity School.